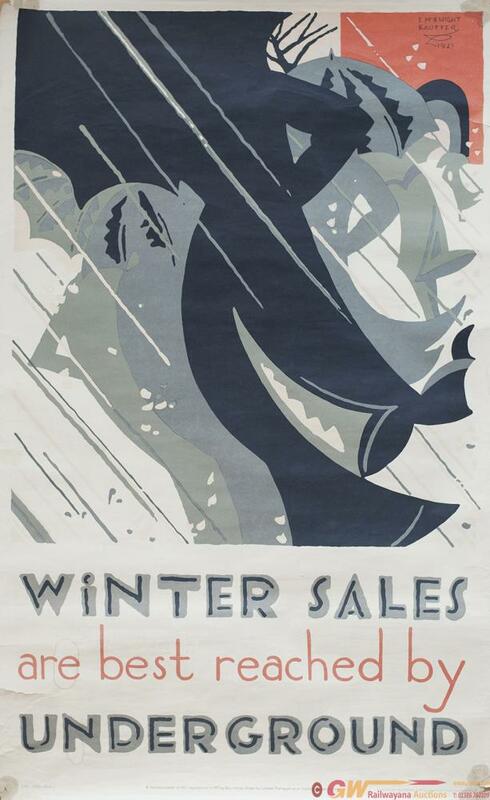 Poster LT WINTER SALES ARE BEST REACHED BY UNDERGROUND by EDWARD MCKNIGHT KAUFFER 1921. Double Royal 25in x 40in. In good condition with a couple of small tape repairs, pinholes and slight loss to top left hand and bottom right hand corners. This is a poster re-issued in 1977 by London Transport.